Shopping for Developmental Toys Construction Toys? 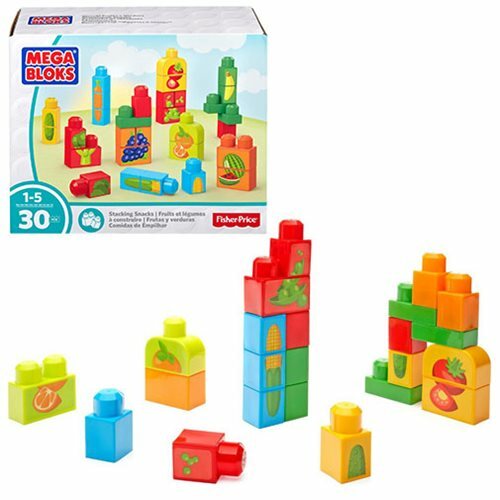 Your little one can work up an appetite for discovery when they learn to build and match different healthy foods with Mega Bloks Stacking Snacks Block Playset! Made for little hands and growing minds, this colorful set of big blocks lets you build different fruits and veggies, like tomatoes, peas, carrots, corn, oranges, grapes, and broccoli. Easy to put together and take apart, your little one can use the blocks to create all kinds of fun snacks as they pair and stack the right pieces together, building up their motor skills, and learning problem solving along the way! Ages 1-5.